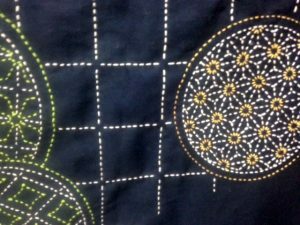 Home Textiles Archive by category "Embroidery"
Fi’s latest stunning Sashiko embroidery. 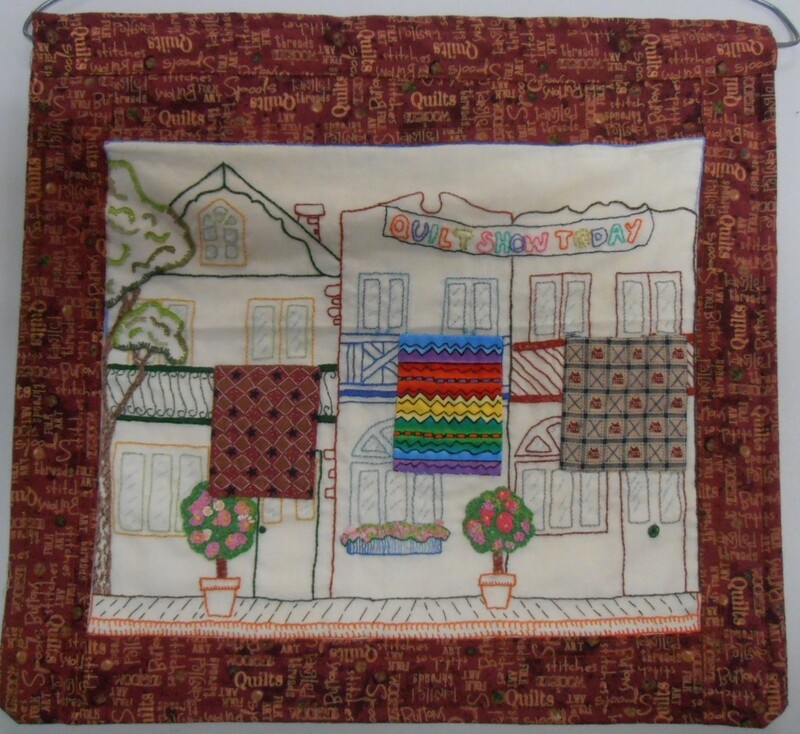 I was travelling through Mosman the other day, and out of the window I spotted a store called Mosman Needlecraft. They sell a huge range of needlework and knitting yarn supplies. They also sell books and kits, and run classes too. So if you’re in the area it may be worth checking it out. This is Megan’s current embroidery project. 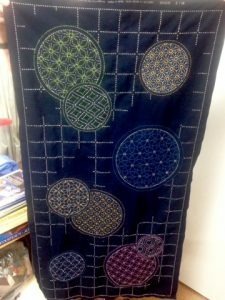 Megan used the pullwork method, where threads are cut and pulled out, leaving gaps which are stitched and pulled in various ways to create a multitude of effects. 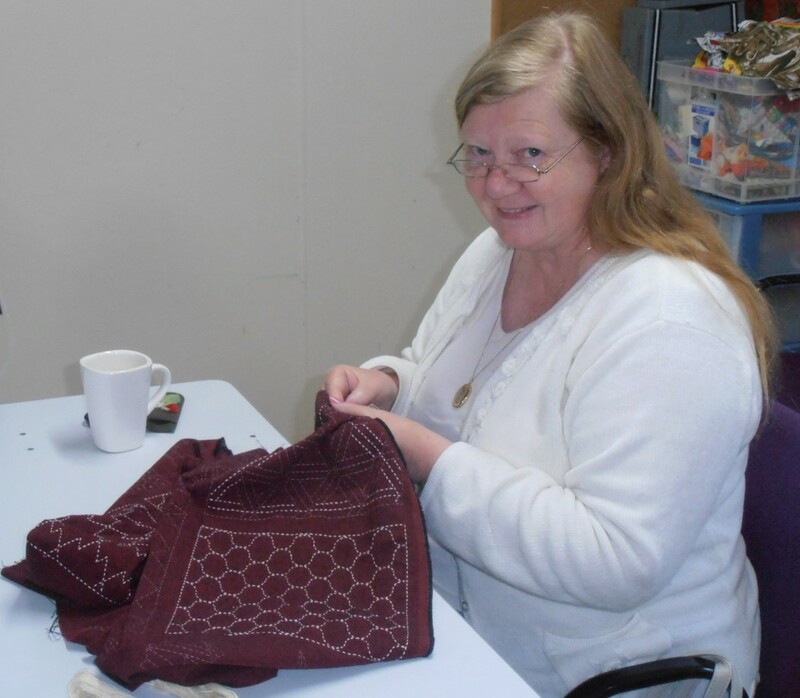 Megan has been doing embroidery for more than seventy years. What an achievement! 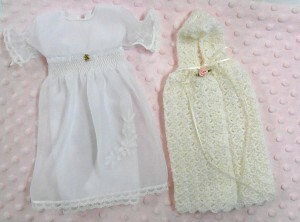 These beautiful clothes and the blanket behind were made by Linda for a preterm baby in her family. The detail in these clothes is amazing. 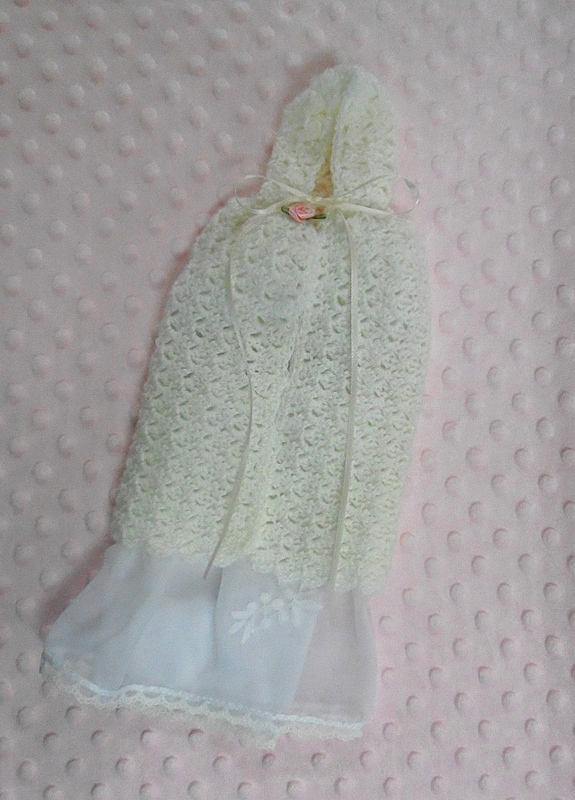 Linda’s work is always so neat and she has taken extra care with the dress, cape and blanket for this baby which is so special to her. So much love has gone into this ensemble. 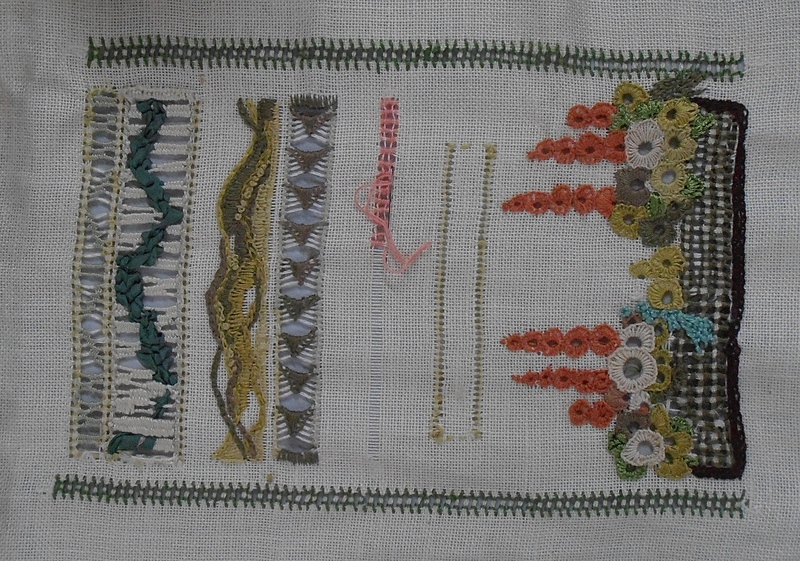 This is an embroidery sample that Megan T did when she studied embroidery in high school! Wow. So this must have been done in the 1940s. That is so awesome. Here is Linda doing a sashiko piece. 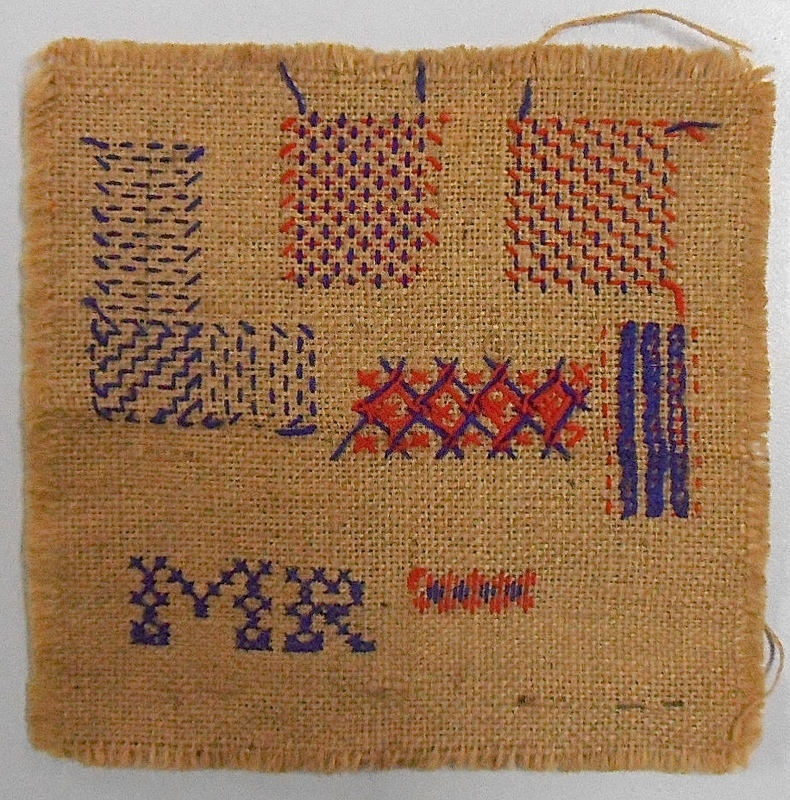 This project is done on maroon coloured cloth and not the traditional indigo blue. Linda’s stitching is so neat so this will look awesome when she is finished. 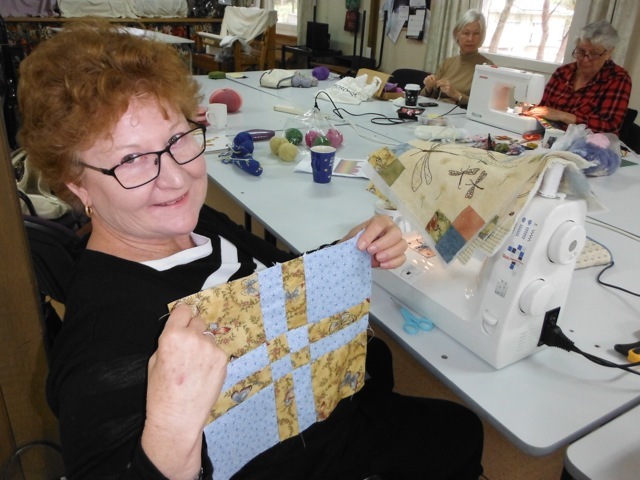 Here is Karen with one of her patchwork squares. 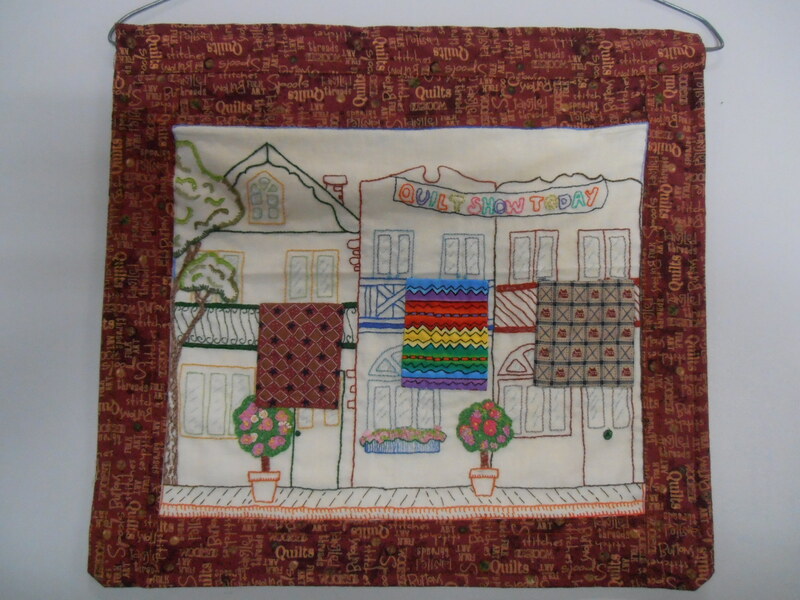 Karen has some fabulous hand embroidered squares and is mixing them with other patchwork squares. This will look fantastic when finished and we can’t wait to see the finished quilt. By Lyn A. 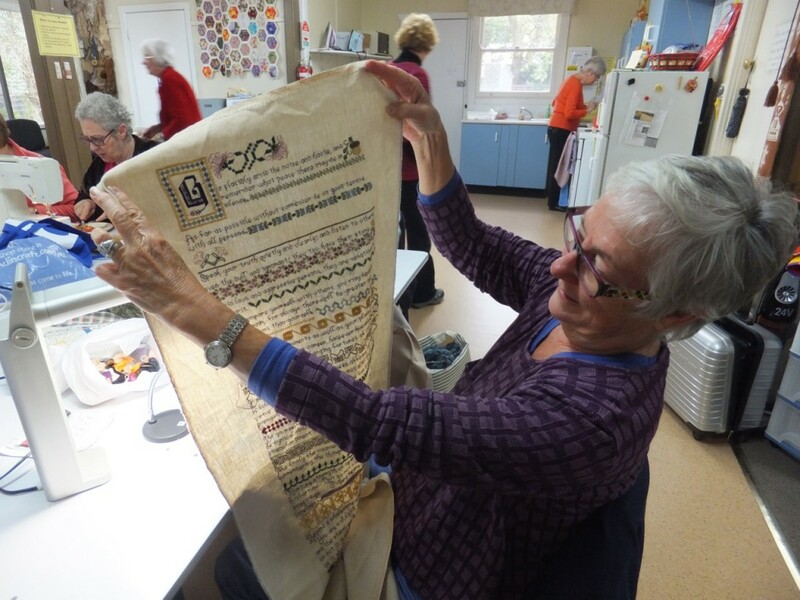 Here is Jenni with a great piece of handwork. Jenni started this for her daughter’s 21st birthday and never finished it. Now with a new light and magnifying glass to her name, Jenni is at it again. This time for Christmas for her same daughter, now 33. Never too late to pick up and finish off. Love your work Jenni. By Lyn. 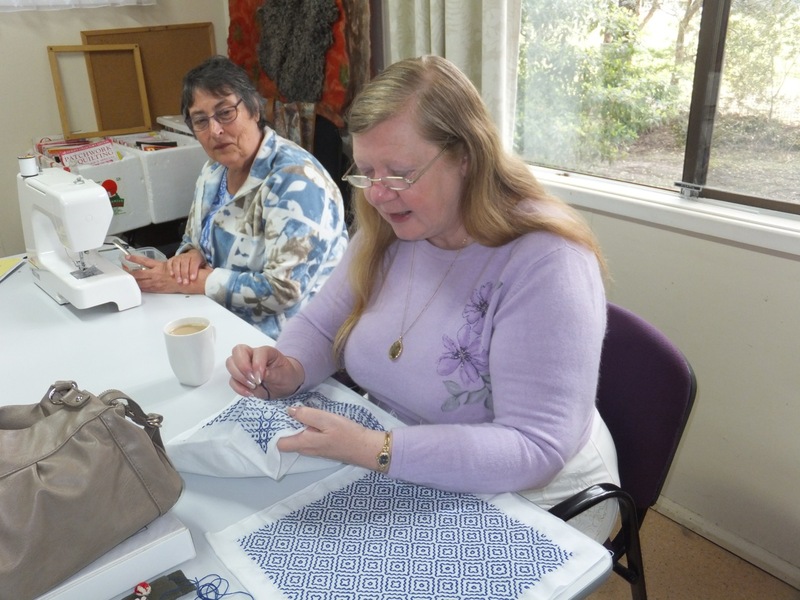 Linda is doing some amazing embroidery. 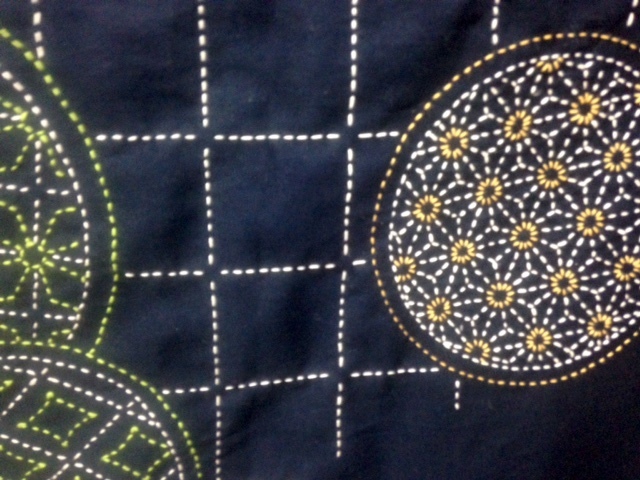 The pattern is so detailed and the time consumed to complete the design must have been phenomenal. Linda is obviously very patient.